The Cambridge based Internet photo service is expanding its successful photo book range with software in Spanish and Italian. FotoInsight is outperforming the photo finishing market through product and service innovation as well as its aggressive international expansion. Today, FotoInsight of Cambridge launched the award winning CEWE Photobook service in Italy, just one month after its successful launch in Spain. The expansion of the popular photo book concept is helped by winning this year's TIPA (Technical Image Press Association) best photo service award. TIPA voted the CEWE Photobooks at the self-titled the European ‘Oscar’ of the Photo and Imaging Industry, as the leading product in its hotly contested category, which has lend a new dynamism to the photo printing industry and offers the consumer an attractive option to preserve photographic memories. The TIPA judges state “With its photobook concept, CEWE offers a complete solution for creating and ordering high quality photobooks across Europe. Digital photos can be combined with backgrounds, text and page design, and the photo book software is free of charge and offers intuitive handling ...”. The FotoInsight Designer software for the CEWE photo book is intuitive and does not require specialist knowledge, making photo book design accesible across different levels of experience and languages . 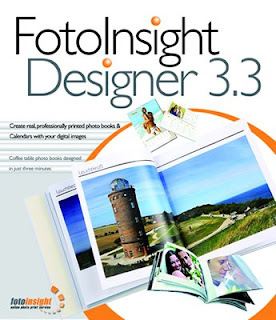 According to the vendor, the Layout Assistant in its “FotoInsight Designer” CEWE photobook software designs a coffee table style book with hundreds of images in under three minutes. Users with time and patience may enjoy designing their own printed photo album page by page or simply refine the Layout Assistant’s design with texts and repositioning the images. FotoInsight offers a range of 94 different photo book formats counted by cover, size and number of pages. Its portfolio ranges from a pocket size photo booklet (from £5.99 plus p&p) through bound books in square format (8”x8” from £9.99) or A4 to the new XL photo books (12”x12”). All photobooks (square, A4 and XL) from FotoInsight are available with very durable channel bind in a linen cover or in a soft or hardcover where cover and spine can be edited freely with photos and text. All photo books are available in different sizes, from 26 to 98 pages (increasing in eight page steps). If you are a journalist and you’d like to try a photobook for yourself, please call IITM.info on 02076177469 or email pr (at) iitm.info . FotoInsight also offers special reader offers, and cover mount content opportunities. TIPA is the main association of professional editors of independent European photo and imaging publications. 28 European publications with about 8 million readers in 12 European countries form this non-profit association which is not related to any manufacturer. The 2008 awards ceremony is the 17th in the series and took place in Cologne, Germany. A full list of winners and more information is online at the TIPA site.